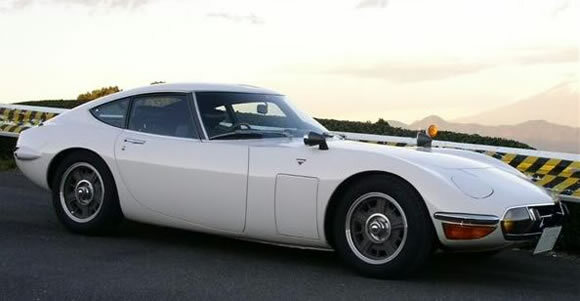 Only 351 Toyota 2000GT's were ever built and were the pre-runner to cars like the Bugatti Veyron - that is cars that cost more than they sell for. Basically a concept car the 2000GT was built by Yamaha and sold for about the same as a Porsche. One claim to fame is an open topped version was used in the Bond film, You Only Live Twice. Regarded as the first collectible Japanese this is one car I would really love to own.